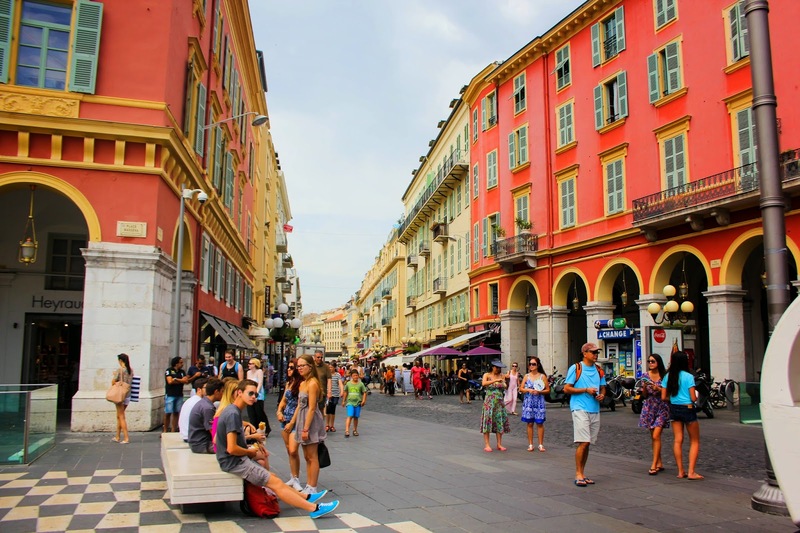 Nice’s ‘Golden Square’ is the heart of Nice – it has the main shopping areas, the iconic Place Massena and Nice’s own Central Park – the beautiful Promenade de Paillon. 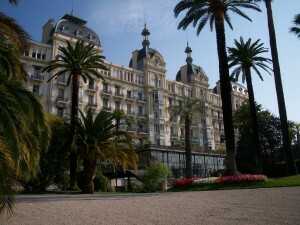 When you choose out of ZEN’s holiday lettings in Nice Carré d’Or, you choose location. 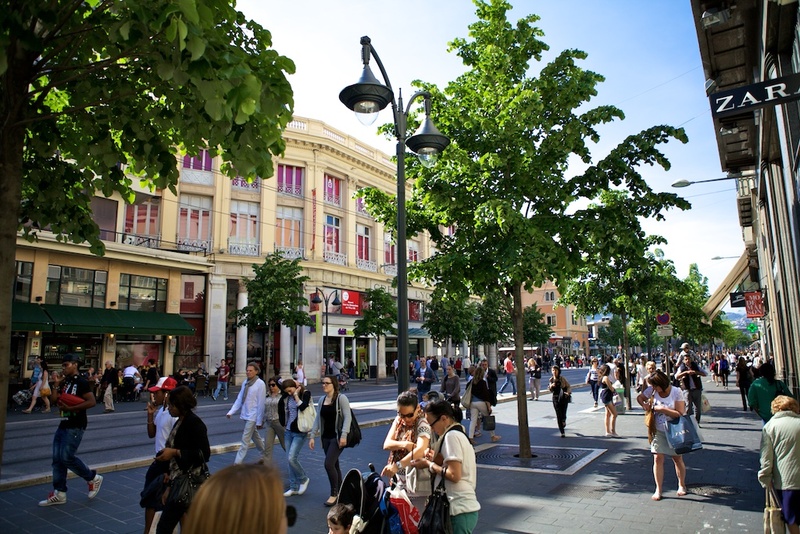 Explore the pedestrianised zone or ‘Piétonne’ on Rue Massena and the famous Boulevard Victor Hugo and find all the stores and big brand names on the Avenue Jean Medecin. If you need a break, escape into secluded squares with hidden gardens and wander along wide tree-lined boulevards. Continue to the North and you will enter the ‘Quartier les Musicians’ which stretches from all the way to the Train Station – a must for anyone looking to see Nice’s classic Belle Epoque architecture. The Carré d’Or (Golden Square) area is a vibrant, cosmopolitan sector characterised by chic cafes, bars and designer shops. 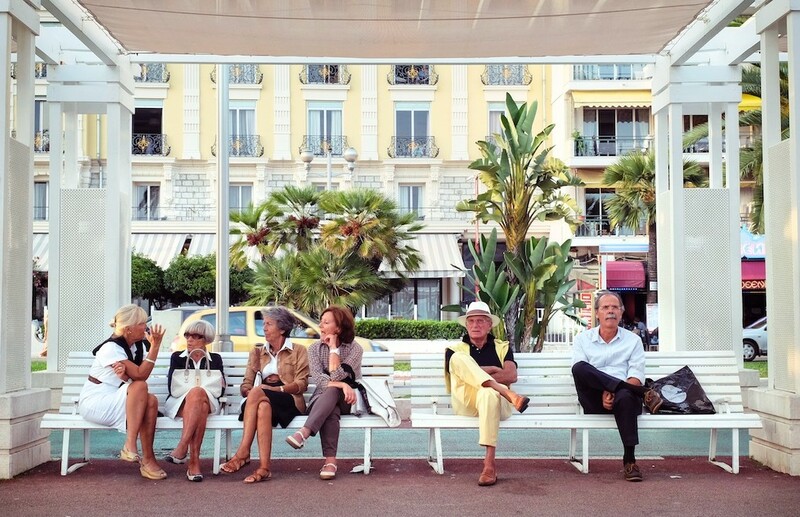 Bordered by Boulevard Victor Hugo to the North, Place Massena and Avenue Jean Medecin to the East, Boulevard Gambetta to the West and the Promenade des Anglais to the South, the Carré d’Or is a favourite area for locals. Holiday lettings in Nice Carré d’Or, all about location! 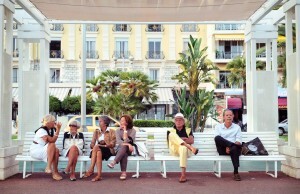 With the Carré d’Or, its all about location. Every apartment here is no more than five or ten minutes from the beach and even less to the pedestrian areas. Rue Massena, which runs from Place Massena to rue de France, is completely pedestrianised and is lined with bustling cafes, international restaurants and chic designer shops. This street is the artery of Carré d’Or. One off the most popular holiday lettings in Nice Carré d’Or are apartments with views over this street. For example our stunning Massena apartment! Follow Rue Massena to the West and it will turn into Rue de France. 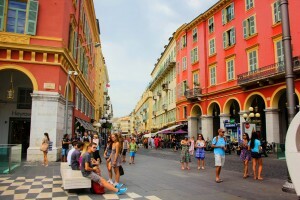 This amazingly long street runs for two kilometres parallel to the Promenade des Anglais and is packed with restaurants, bars and local businesses. Just off this street you find our super cool studio Dalpozzo. It is a lively quarter with all you need and a lot calmer than Old Town. No wonder this area is so popular amongst tourists and locals alike! Other popular streets in the Carré d’Or area include Marechal Joffre and the Boulevard Victor Hugo, the northern boundary of the area, is a grand French Boulevard lined with large trees, huge hotels and adjacent to two tranquil parks: Jardin Alsace Lorraine and Jardin Moreno Jean. If you are looking for a central location in Nice with shopping and restaurants on your doorstep, the Carré d’Or is the perfect base for you! Are you interested in staying at the golden square area? We would love to tell you more about our holiday lettings in Nice Carré d’Or! Click on MASSENA to discover this awesome apartment on Rue Massena. Location wise it does not get better. And what about MASSENET, our smart studio with AC, balcony and sea view! Another cool studio is ALBERTI, ideally located in between the train station, shopping area and Old Town. DALPOZZO is situated in the middle of real local life and has a big private terrace where you can enjoy the sunrise. Looking for a comfortable and very central apartment? Take a look at MEDECIN apartment, situated on Nice’s main shopping street.